In a nut shell: 10...9...8...7...6...5...4...3...2...1...JUMP! Jump in to this fantastic book by author Haidji! I have so much praise for this book, it's new, it's exciting, it's something I can honestly say I've never- ever- read before. The chapters are all in different POV's so you don't end up getting bored with one character. Its unpredictable; which means there are more interesting unexpected surprises, and best of all Haidji wasn't afraid to step out of the box so many authors find themselves trapped in. At first I wondered if this book was like the hunger games, because let's face it, so many people are trying to jump on that sailed ship. But this really isn't the hunger games, trust me, it's Suicide games where eight thousand candidates sign up: geeks, mafia, makeup artists, master chefs, models, musicians, ordinary workers, spies, terrorists, and so many others. All have one goal. To win. We see a side to many characters, and see many familiar situations that can be interpreted on a readers scale and an academic one. We see romance, fear for the jumpers, celebrations, blood, and lastly- death. Haidji isn't afraid to write this story, to really show us what she see's giving us the image and the physical creations these characters have, and I truly applaud that. "The new game. The new mania. 8000 candidates and only one will survive. Only one can win! Live from the Night Stadium. Nothing compares to what you'll see here. Nothing compares to what you'll watch. You have already chosen your candidate. You have made your bet. To be part of a new and unexpected game. Now its time to leave it all in the laps of the Gods. And when the bell rings...it is time to jump... for your life! 10...9...8...7...6...5...4..3..2...1 JUMP." Do I have to say any more... ? 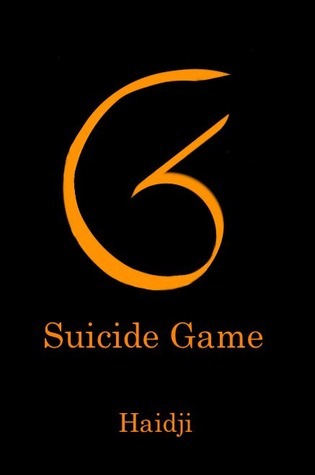 Goodreads says: Eight thousand candidates sign up for the Suicide Game. Only one can win. Their destination: the Night Stadium, a place of makeup and music, fear and adrenaline, blood and romance, celebration and death. Each candidate has his or her own reason for entering the Game. The Council runs the Game. The outcome of the Game is left to fate...in the laps of the gods. The candidates will jump to their deaths in order to win everything, before capacity crowds in the Stadium. The public follows every jump, live on TV and on their mobile screens, choosing their favourite candidates and betting on their lives. Notes: Fantastical! HIGHLY recommended. Buy it here!